Due to the machine’s ability to reach almost anywhere, the Grillo 9.21 is suitable for applications that regularly tackle challenging conditions, even performing in wet and slippery environments. 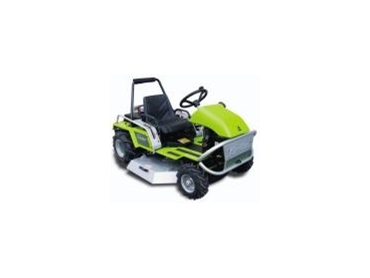 The climber ride on mowers low centre of gravity allows it to manage steep and undulating terrain safely and competently. The operator can sit low in the seat and is positioned directly over the cutting deck, resulting in more stability, control and safety. Climber 9.21 has been developed as a 2-wheel drive machine for optimum maneuverability and increased traction. It also features a differential lock function, enabling the user to handle complex areas by depressing the diff lock pedal to engage both rear wheels at the same time.